Imagine yourself in a situation where a hundred bomber planes flying overhead, ripping your eardrums apart with horrible noise and belching black smoke, choking your lungs. Well I just spent an agonizing 48 ours in that situation. No, I wasn't in Syria or Afghanistan. It happened right next door when yet another neighbor was trying to bore a well. The noise, the smoke and a pool of flouride-filled,liquid mud left behind, was the result of that bore well drilling. It started early morning on Friday and ended last night. In these 48 hours, they drilled up to 60 meters, I was told, but finally abandoned the drilling and left because, there was still no sign of usable water! That the groundwater level has dropped to an incredibly low in Hyderabad, is no news. I too have been writing about it for a long time. The point is, it's high time to stop this drilling madness. And there is only one way to do that: declare groundwater as a public property and end the trend of selling it like common products. The reasons are well known and even well-argued: continuation of groundwater as a private property has led to over exploitation all across the country. In cities, it has actually bred a new line of water traders (some are calling them the 'tanker mafia') who are drilling bore wells, selling tankers full of that at an exorbitant price and minting money. Who buys this water? Everyone, including me, because there is no other way to survive. 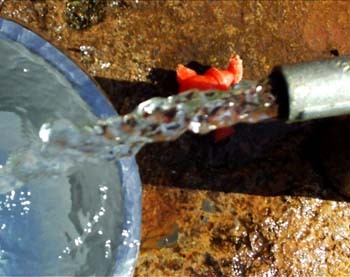 In Hyderabad,the government supplies water for an hour for three days a week. It talks about depleting groundwater levels, says that all the water bodies are drying up, and yet takes no concrete action either to stop people from digging new bore wells, or regulates the existing ones. Actually, that is the problem with our governments in general. Early this year, the government at the center released a draft water policy. But that policy neither suggests a blanket ban on drilling or extraction of groundwater by individuals, nor does it talk about a strict punishment for those water businessmen who are drying out our water tables. No wonder, the draft has drawn flak from critics, and rightly so. In a country where oil, coal or any mineral is a public property, why is there so much shyness to save water from privatization? 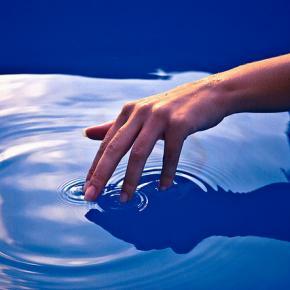 Is water less precious than oil or coal for human life? 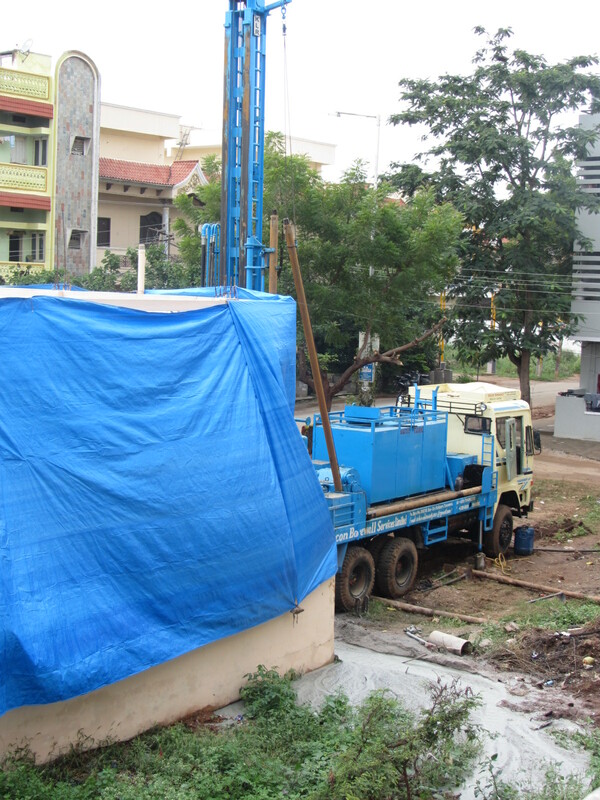 Experts have said that by 2025, 60% of our groundwater blocks could turn critical. So, we need to really stop using water as a commodity and save it when we have time. And the time is now. Let the Water Policy 2012 put a ban on individual groundwater extraction for sale and making profits, even if he is doing that on his own land. Being a miser is certainly wiser than being a pauper, specially when it comes to something that life depends on, isn't it?